Remember My Username | Forgot Password? Wrap-Tightsm is a fully integrated compliance and document management system. It permits you to create state-of-the-art ERISA compliant welfare benefit plan documents and Summary Plan Descriptions (SPDs) based on industry best practices on demand and at an affordable cost. You will save time and money by preparing one Wrap-Tightsm plan document, SPD, and Form 5500 and distributing one SPD and Summary Annual Report (SAR) to plan participants—rather than one for each separate component benefit plan. You will continue to enjoy savings by needing to amend only one Wrap-Tightsm document in response to legislative and regulatory changes or changes in your benefit structure. ERISA Pros focuses on helping employers get into compliance with ERISA laws for welfare benefit plans—and stay there. To do this, we rigorously and continuously train our staff in this concentrated area. Our compliance specialists have years of experienced based knowledge and training in ERISA and employee benefit plans. Wrap-Tightsm is the ‘gold standard’ of ERISA compliance for welfare benefit plans. It is our promise to be the best at what we do. Join others in helping us improve by Providing Feedback. You are a “Customer” of our web-based services (the “Services”). If you are obtaining the Services for internal use, you are also an Employer. If you are a consultant obtaining Services from us for the benefit of your clients (“Clients”), your Clients are also Employers. Any individual Representative does hereby represent and warrant that he or she has entered into such Agreement on Customer’s behalf with full authority to do so. Any Representative is also bound by all the terms and restrictions that apply to the Customer hereunder. You will be required to insert the name and employer identification number (the “Employer Data”) for any Employer whether that Employer is you or a Client of yours. "ERISA Pros" is a trade name and common law service mark of ERISA Pros, LLC, a Georgia limited liability company that owns and operates the website with the domain name: ERISAPros.com (the "Website"). We require that any Customer be at least eighteen (18) years of age. By using the Services, you represent and warrant that you are at least eighteen (18) years of age and that your use of the Services does not violate any applicable law or regulation. Your right to use our Services may be terminated without warning, if we have reason to believe you are less than eighteen (18) years of age. “Content” means any and all text, graphics, photographs, software applications, software code, audio and video on the Website, including, but not limited to, articles, Documents and Forms. "Documents" means completed documents, and templates for completing documents, required by or provided to comply with ERISA, including, but not limited to, Plans, SPDs or EDIs. "EDI" means electronic delivery instructions prepared in light of the Department of Labor Safe Harbor Regulations under §2520.104b-1, §2520.104b-2 and under any related pronouncements. “Forms” mean electronic forms that can be used on our Website to create Documents. "Plan Sponsor" means the sponsor of the Plan as defined in ERISA Section 3(16)(B) and any applicable regulations thereunder. "Plan(s)" means the plan, fund(s), or program(s) established or maintained for the purpose of providing Plan Participants, through the purchase of insurance or otherwise, with "welfare plan" benefits described in ERISA Section 3(1) and any applicable regulations thereunder, which does not include pension plan benefits as described in ERISA Section 3(2). "Plan Participants" means employees, former employees and beneficiaries who participate in the Plan(s). "SPD(s)" means summary plan description(s) as described in ERISA Section 102 and any applicable regulations thereunder. "Term" means the period during which you may use your login and password to obtain additional or revised Documents by purchase or otherwise. Notwithstanding the foregoing including any termination, your license to use a Document you have purchased continues for so long as you comply with the license granted by this Agreement, including, but not limited to, complying with the restrictions set forth in this Agreement. Other than our charges for personal consulting, which are determined separately, charges are based upon the particular types of Documents and Services being provided or generated for a particular Customer or Client. Our Customers may elect to order and pay for a one-time purchase of one or more types of Documents, or make the one time purchase and also pay a monthly fee for continued access to our Website to enable changes to the Documents purchased. Changes to the Documents may be required because of changes made by an Employer or changes in applicable law. Our rates for Services and purchases of Documents are provided on our Website and may be changed from time to time at our sole discretion. In connection with any purchase, you agree to provide our credit card processor or us, as the case may be, with valid credit card information and, with respect to charges that are billed on a recurring basis, authorize our credit card processor or us to deduct the recurring charges against such credit card and to replace the information for any credit card that expires with information on a different valid credit card. Any individual using a credit card represents and warrants that he or she is authorized to use such credit card and that any and all charges may be billed to such credit card and will not be rejected. All intellectual property rights in Content, including, but not limited to, all information, software, services, and documents such as Plans, Summary Plan Descriptions (“SPDs”), and Electronic Delivery Instructions (“EDI”), are the exclusive property of ERISA Pros and are protected by applicable law. In this regard ERISA Pros owns any and all rights in the Website and the Content, including, but not limited to, any and all copyright, patent, trade secret, trademark, trade dress and service mark rights. The intellectual property relating to all site design, text, graphics, and the selection and arrangement thereof and all other Content are the property of ERISA Pros, LLC. ERISA Pros, ERISA Pros, LLC, and any logo, and other service marks such as “Wrap-TightSM” and “Stay-Tightsm” are service marks and/or trademarks of ERISA Pros. Certain images and text, page headers, custom graphics and customized button icons may be protected as trade dress. By using this site, you consent to receiving electronic notifications from ERISA Pros. These communications will consist of notices about your account and information related to our Services and Content, including electronic delivery of purchased Documents. You agree that any notice, agreements or other communications that we send to you electronically will satisfy any legal communication requirements, including that such communications be in writing. Any notice to you will be effective when sent to the last email or physical address you have given us or posted on our Website. Any notice to us will be effective when delivered to us with a copy to our outside counsel: Rob Hassett, Casey Gilson P.C., 980 Hammond Drive, Suite 800, Atlanta, GA 30328 or rob@internetlegal.com, or such replacement addresses as we may later provide on the Website. ERISA Pros does not and cannot guaranty that all Documents, Forms and other Content are always up-to-date and compliant with all applicable laws, but does and will make commercially reasonable efforts to create Content that is, and keep its Content, current and compliant. It is your responsibility to use all Content, including Documents and other Forms, correctly and provide accurate and complete information when asked. In order to use our compliance services, including Documents and other Forms, you may be asked to provide information about you, your Client or a Plan. You agree that any such information, and all other information you provide to us, will be correct and accurate when provided and kept up-to-date. You are responsible for providing accurate and complete information used to produce any and all Documents and to assure that any Document that relates to a Plan created is formally adopted by its Plan Sponsor. You acknowledge that any arrangement included under any Plans must be operated in accordance with its terms and applicable law. You are responsible for maintaining the confidentiality of any passwords associated with your account. You are ultimately responsible for assuring that Documents you obtain from us are in compliance with applicable law and for avoiding errors or mistakes caused by any act or omission of you or anyone else acting on your behalf. You are responsible for maintaining and updating all insurance policies, contracts and documentation that make up component benefits of any Plan. You are responsible for any error or mistake caused by an act or omission by you, an employer, a Client, a Plan Sponsor, or any other party. We will provide a store credit (pro rata based on a percentage of the period that is paid for in advance that has expired prior to termination) only if we terminate our Services to you without cause before the end of a month for which you have paid. There is no circumstance in which you will be entitled to a refund from us or be permitted to return used or unused Documents. ERISA Pros hereby grants you permission to download, view, copy, print, and upload the Documents you keep on your computer for distribution to your Plan Participants, your Clients, Plan Participants of your Clients (or the website you host for your Plan Participants or that your Client hosts for its own Plan Participants) or to governmental entities which request such Documents or to which you are required to provide such Documents. You agree (i) that any copyright, service mark and trademark notice appearing below will appear in the Documents and (ii) that the Documents will not be used on any other Web site. Your right to copy, modify, display and distribute Documents as set forth herein and to use our Forms and other Content, terminates immediately in the event you violate the terms of this Agreement. We are giving you only a restricted, nonexclusive license to use our Content subject to all of the restrictions set forth herein. You agree and acknowledge that before you may use our Services for the benefit of a Client, you are required to provide complete and accurate Employer Data for that Client. In that regard, the provided employer ID number for that Client is automatically incorporated into the Documents we provide to you. You agree to abide by laws regarding copyright ownership and use of intellectual property, and you shall be solely responsible for any violations of any relevant laws and for any infringements of third party rights caused by any content you provide or transmit or that is provided or transmitted using your ERISA Pros user account. You are permitted to use the Documents, Forms and other Content only for your own internal business use, unless you are a consultant, attorney or other professional, in which event you may use any of such Content for any Client for which you provided us with Employer Information including a separate employer identification number. You acknowledge and agree that you have no right to modify, edit, copy, reproduce, create derivative works of, reverse engineer, alter, enhance or in any way exploit any of the Documents in any manner, except as expressly permitted. In this regard, you will not, and you will not permit anyone else to, use any such documents, forms or other content to create a competitive product. You shall not remove any copyright notice from, or change the employer identification number in any Document. By purchasing Documents, you agree that the Documents you purchase may only be used by you or for your specified Client’s business use and may not be sold or redistributed without the express written consent of ERISA Pros. "Confidential Information" means any oral, written, graphic or machine readable non-public information about a party, including, but not limited to, that which relates to patents, patent applications, research, product plans, products, developments, inventions, processes, designs, drawings, engineering, formulae, markets, software (including source and object code), hardware configuration, computer programs, algorithms, business plans, agreements with third parties, services, customers, marketing or finances of the disclosing party, which Confidential Information is designated in writing to be confidential or proprietary, or if given orally, is confirmed in writing as having been disclosed as confidential or proprietary within a reasonable time (not to exceed thirty (30) days) after the oral disclosure. Information and materials related to the ERISA Pros system and documents are deemed to be ERISA Pros. Confidential Information without the requirement to identify such information and materials as such. ERISA Pros and Customer each agree not to use any Confidential Information disclosed to it by the other party for its own use or for any purpose other than to carry out discussions concerning, and the undertaking of, the Relationship. Neither party shall disclose or permit disclosure of any Confidential Information of the other party other than to third parties, or to such disclosing party's employees, directors, officers, employees, and agents ("Representatives"), who are required to have the information in order to evaluate the Relationship or meet such receiving party's obligations under this Agreement; it being agreed that (i) such Representatives shall be informed by the receiving party of the confidential nature of such Confidential Information; (ii) except for Representatives who are attorneys or accountants, such Representatives shall be contractually obligated to treat such Confidential Information as confidential substantially in accordance with the terms of this Agreement; and (iii) the receiving party shall be responsible for the actions and omissions of its Representatives as if they had been committed by the receiving party. Each party agrees that it shall take all commercially reasonable measures to protect the secrecy of, and avoid disclosure or use of, Confidential Information of the other party, in order to prevent it from falling into the public domain or the possession of persons other than those persons authorized under this Agreement to have any such information. Such measures shall include, but are not be limited to, the highest degree of care that the receiving party utilizes to protect its own Confidential Information of a similar nature and no less than reasonable care. Each party, to the extent such party is a receiving party, agrees to promptly notify the other party whenever the receiving party becomes aware that Confidential Information of the other party has been used or disclosed in violation of this Agreement. does not constitute a trade secret under applicable law and was provided to the receiving party more than two (2) years prior. In addition, neither party shall have liability to the other with regard to any Confidential Information of the other, which the receiving party can prove is disclosed pursuant to the order or requirement of a court, administrative agency, or other governmental body; provided, however, that the receiving party shall use commercially reasonable efforts to provide prompt notice of such court order or requirement to the disclosing party to enable the disclosing party to seek a protective order or otherwise prevent or restrict such disclosure. ERISA Pros acknowledges that certain content it provides was developed from information already in the public domain (e.g. 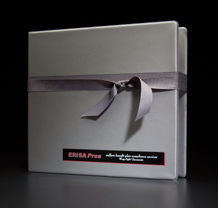 federal laws and regulations); however, the inclusion of this content in ERISA Pros' product does not render the product itself part of the "public domain" for purposes of this Section 3(b). ERISA Pros and Company each agree that it shall not modify, reverse engineer, decompile, create other works from or disassemble any software programs contained in the Confidential Information of the other party unless permitted in writing by the disclosing party. Any materials or documents that have been furnished by one party to the other in connection with the Relationship shall be promptly returned by the receiving party, accompanied by all copies of such documentation, within ten (10) days after (a) the Relationship has been rejected or concluded or (b) the written request of the disclosing party. Such materials would include any materials or documents that may have been provided by an independent third party. You are responsible for assuring that your employees and independent contractors, who act on your behalf, comply with all the restrictions and limitations that apply to you as set forth in this Agreement and that they do not exceed the scope of the license granted. The Documents produced by this site are intended (but are not guaranteed) to comply with the applicable disclosure requirements of the Employee Retirement Income Security Act of 1974 (“ERISA”), as may be amended from time to time. The user of this site is solely responsible for determining whether the Documents prepared by using this site accurately reflect the Plan Sponsor’s intent and comply with such applicable legal requirements. ERISA Pros is not a law firm and is not rendering any legal, tax, or accounting advice to any user of this site. ERISA Pros has no attorney-client relationship with you or your Client and does not express any opinions as to the legal effect or sufficiency of any Document created at this site or any comments or opinions made by its employees. Please consult with your own legal counsel to review any Documents created at this site. We may suspend and/or terminate our Services to you at any time with or without cause. We will refund a pro rata portion of your monthly prepayment (or prepayment for some other time period) if we suspend and/or terminate you without cause during a month (or other time period) for which you prepaid. We will not refund and/or reimburse you, if there is cause, such as you using our system for an individual or entity for which you are not authorized. The software that supports the Services (the "Software") is further subject to United States export controls. None of the Software may be downloaded or otherwise exported or re-exported in violation of United States export laws. Notice to U.S. Government End Users. The Software, including all documentation, are "Commercial Items," as that term is defined at 48 C.F.R. §2.101, consisting of "Commercial Computer Software" and "Commercial Computer Software Documentation," as such terms are used in 48 C.F.R. §12.212 or 48 C.F.R. §227.7202, as applicable, consistent with 48 C.F.R. §12.212 or 48 C.F.R. §§227.7202-1 through 227.7202-4, as applicable. The Commercial Computer Software and Commercial Computer Software Documentation are being licensed to U.S. Government end users (a) only as Commercial Items and (b) with only those rights as are granted to all other end users pursuant to the terms and conditions herein. Published and unpublished rights are reserved under the copyright laws of the United States. Manufacturer is ERISA Pros, LLC, 5901C Peachtree Dunwoody Road, Suite 480, Atlanta, GA 30328. The services we provide apply only to the ERISA laws of the United States and no other use is contemplated. THE WEBSITE AND ALL CONTENT, INCLUDING, BUT NOT LIMITED TO, DOCUMENTS AND FORMS, PROVIDED ON OR THROUGH YOUR USE OF THE SITE ARE PROVIDED ON AN "AS IS" AND "AS AVAILABLE" BASIS. TO THE FULLEST EXTENT PERMITTED BY LAW, ERISA PROS EXPRESSLY DISCLAIMS ALL WARRANTIES OF ANY KIND, WHETHER EXPRESS OR IMPLIED, INCLUDING, BUT NOT LIMITED TO, IMPLIED WARRANTIES OF MERCHANTABILITY, FITNESS FOR A PARTICULAR PURPOSE, TITLE AND NON-INFRINGEMENT. ERISA PROS MAKES NO WARRANTY THAT: (A) THE WEBSITE OR THE MATERIALS WILL MEET YOUR REQUIREMENTS; (B) THE SITE OR THE MATERIALS WILL BE AVAILABLE ON AN UNINTERRUPTED, TIMELY, SECURE OR ERROR-FREE BASIS; (C) THE RESULTS THAT MAY BE OBTAINED FROM THE USE OF THE SITE, OR ANY DOCUMENTS OFFERED THROUGH THE SITE WILL BE ACCURATE OR RELIABLE; OR (D) THE QUALITY OF ANY PRODUCTS, SERVICES, INFORMATION OR OTHER CONTENT PURCHASED OR OBTAINED BY YOU THROUGH THE SITE OR IN RELIANCE ON THE CONTENT, WILL MEET YOUR EXPECTATIONS. OBTAINING OR CREATING ANY DOCUMENTS THROUGH THE USE OF THE SITE IS DONE AT YOUR OWN DISCRETION AND AT YOUR OWN RISK. ERISA PROS SHALL HAVE NO RESPONSIBILITY FOR ANY DAMAGE TO YOUR COMPUTER SYSTEM OR LOSS OF DATA THAT RESULTS FROM THE DOWNLOAD OF ANY CONTENT, MATERIALS, INFORMATION OR SOFTWARE. IN NO EVENT SHALL ERISA PROS, OUR OFFICERS, DIRECTORS, EMPLOYEES OR AGENTS BE LIABLE FOR ANY INDIRECT, PUNITIVE, SPECIAL, INCIDENTAL OR CONSEQUENTIAL DAMAGE (INCLUDING BUT NOT LIMITED TO LOSS OF BUSINESS, REVENUE, PROFITS, USE, DATA OR OTHER ECONOMIC ADVANTAGE), HOWEVER IT ARISES, WHETHER IN AN ACTION OF CONTRACT, NEGLIGENCE OR OTHER TORTIOUS ACTION, OR ARISING OUT OF OR IN CONNECTION WITH THE USE OR INABILITY TO USE THIS SITE OR MATERIALS AVAILABLE FROM THIS SITE, EVEN IF ERISA PROS HAS BEEN PREVIOUSLY ADVISED OF THE POSSIBILITY OF SUCH DAMAGE. IF YOUR USE OF MATERIALS FROM THIS SITE RESULTS IN THE NEED FOR SERVICING, REPAIR OR CORRECTION OF EQUIPMENT OR DATA, YOU ASSUME ANY COSTS THEREOF. ERISA Pros is not responsible for any employee, participant, or beneficiary lawsuits, fees, taxes, interest, or penalties levied by any government agency responsible for enforcing ERISA, COBRA, HIPAA or any federal or state law. ERISA Pros is not responsible for any attorney’s fees associated with such a lawsuit or levy. In any event our total liability is limited to the amount, if any, actually paid by you for the use of the Website and the Services during the twelve months before the occurrence on which the claim is based. We may take the site down from time to time for maintenance and upgrades. Out web hosting company may take the site down from time to time as well. We will attempt to provide reasonable advance notice. However, we cannot guarantee the site will be available at all times. We reserve the right to take the site down without warning, if required. Before using our Services for the benefit of any Client, you will obtain, at a minimum, a release from such Client from any claim against us which may name us specifically or apply to all of your suppliers. In this regard you acknowledge that you will be required to indemnify us from any claim any Client of yours makes against us relating to any Services or Documents we provide to you. You agree to indemnify and hold harmless ERISA Pros and its directors, officers, employees and representatives from any and all losses resulting from the claims of you or third parties, including, but not limited to, attorneys fees, that result in whole or in part from any actions that you or such third parties may assert based on your use of this Website or the Services, the Forms or the Documents including claims based on ERISA Pros’ own negligence. You agree to indemnify ERISA Pros from any damages, losses, costs, or expenses, including, but not limited to, attorney fees and expenses, that it may incur as a result of your use of this site or your use of the Content, Documents, Forms and/or Services available through this site for any reason. The parties agree that this section represents a reasonable allocation of risk and will survive the termination of the Term of this Agreement. Any provision which by its nature and context would be expected to survive termination of the Term of this Agreement will so survive. In this regard, for the avoidance of doubt, provisions relating to payment owed to us for services provided during the Term, intellectual property rights, your responsibility to assure compliance with applicable law, your license to use Documents that you have already purchased, including the scope of and restrictions concerning that license, disclaimers of providing legal advice, restrictions on warranties and liabilities and indemnities, and jurisdiction, applicable law and waiver of trial by jury shall all remain in full force and effect. By using ERISA Pros’ services or accessing the ERISA Pros site, you acknowledge and accept that submitting your telephone number to ERISA Pros via the ERISA Pros site constitutes an inquiry to ERISA Pros, and that ERISA Pros may contact you at the number submitted even if such number appears on any state or federal Do Not Call Lists (taking into account inquiry exception time frames as appropriate). Except as otherwise provided in this Section below, any dispute arising between the parties relating to or arising out of this Agreement shall be brought before any court, state or federal (located in Fulton County, Georgia or the Northern District of Georgia) having jurisdiction over such a dispute. If, under applicable law relating to the selection of venue in Georgia, the case may not be brought in the above-mentioned federal or state courts, the case may be filed in a state or federal court of competent jurisdiction located in the State of Georgia, where legally permitted, and if none, wherever in the United States such claim is permitted. This Agreement and the application or interpretation of this Agreement shall be governed exclusively by the laws of the State of Georgia without giving effect to its conflicts of laws provisions. Each of the parties hereby waives the right to trial by jury in any court proceeding that takes place relating to or arising out of this Agreement.